A BIG WELCOME TO ALL MY NEW FOLLOWERS! An Even bigger welcome to those who are not just here for my giveaway...(*wink*)... A great and mightier welcome to those Who have taken out the time to read my previous posts.... And An Awesome, humongous, magnificent WELCOME to those Who have not only read my previous posts, but Also COMMENTED on them!!! 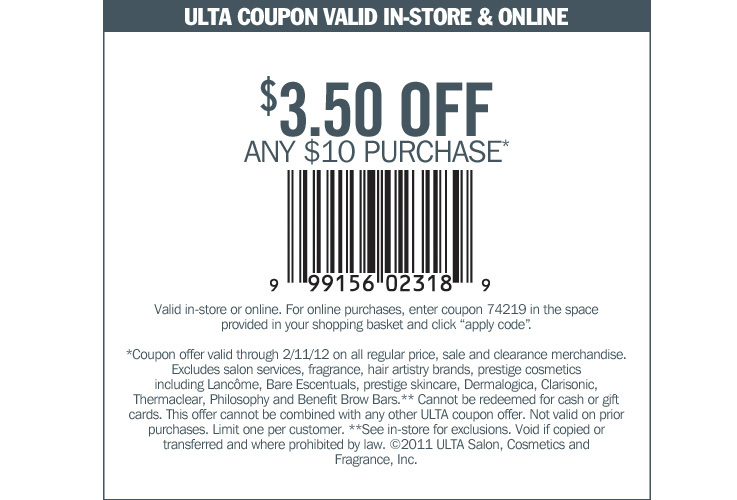 Today, I've got an Ulta coupon you can use, both in store and Online. 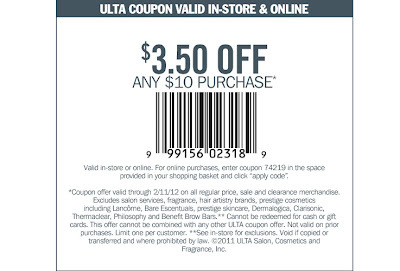 It's a $3.50 off any $10 purchase coupon. Next, I would like to inform you all that I update my Giveaway page whenever and as frequently as I can. If there's a BIG giveaway that requires immediate attention/submission, I will make a special blog post about it as soon as I can.